The Edrington Group has seen some solid success with their ultra high-end releases for The Macallan (including The Macallan’s M and The Macallan Flash Edition), so they’re bringing a very similar strategy and sensibility to Brugal, their rum brand. 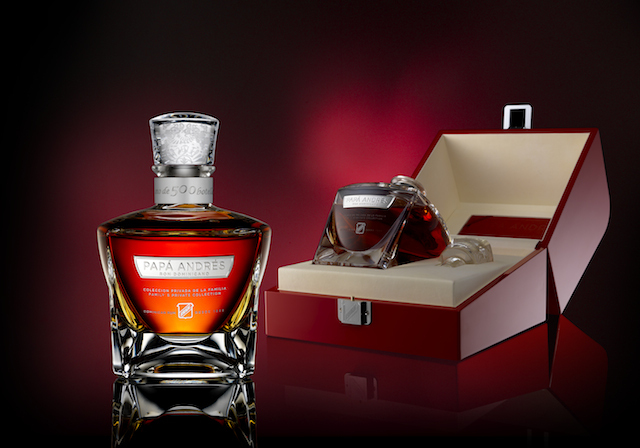 Brugal Papá Andrés Rum has all the elements for a ultra high-end release: it’s a limited edition series with only 500 bottles produced a year, presented in a stunning crystal decanter, with rare rum hand selected by Brugal’s Maestros Roneros. The Papa Andres blend varies from year to year but it consistently draws rum from three different kinds of casks: first filled Sherry, Ex-Pedro Ximenez, and first filled American Oak barrels. Papa Andres Rum (40% ABV / 80 Proof, $1,200) – as with The Edrington Group’s other high end releases, Papa Andres is released without an age statement. 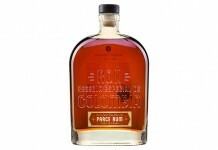 It’s understandable in a rum blend, as very old rum often needs the structure and dilution of younger rums to be palatable, but at this price point it would be nice to have the age of the rum stated. Dark amber in color, it’s clear that a portion of the rum in Papa Andres has spent some nice time in barrel. The nose on Papa Andres is very evasive with light oak, roasted pineapple, and dark cherry. You really have to dig to try to get at the nose of this rum. The entry for Papa Andres is equally understated with the light oak, dark cherry, and roasted pineapple from the nose very slowly unfolding. In the midpalate things intensify slightly, but it’s like going from a soft whisper to a loud one. The midpalate is a subtle mix of oak, dark cherry, mission fig, caramel, grassy sugar cane, and black pepper spice. Although quite delicate, there’s a nice lushness to the fruit note in the midpalate. The finish is fairly short and as understated as the rest of the flavor experience with very light oak and fruit. Brugal is known for making a very clean and slightly dry, molasses based, Dominican style of rum. That style is very similar to that of Puerto Rico (and by extension Bermuda) where Bacardi is based. This style is best illustrated by Brugal’s white rum, Brugal Extra Dry, which does a fantastic job of balancing the flavors from the base molasses with a light, clean, and dry spirit. The problem with aging this style of spirit is that the resulting rum is a lot more delicate and subtle than other styles of rum. Papa Andres does a good job of preserving that light and delicate character without letting the barrel overwhelm it. 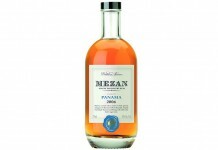 Unfortunately, the result isn’t a blockbuster rum, something we’d absolutely expect at this price. Last year Bacardi attempted something similar to Papa Andres with their Facundo Paraiso XA Rum, which did a better job of striking the balance of elegance and flavor, and that rum sold for $250, almost a thousand dollars less than Papa Andres.